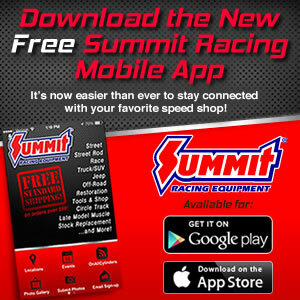 The International Hot Rod Association (IHRA) has announced that the Summit Racing Equipment Pro-Am Tour presented by AMSOIL and Summit Team Finals events scheduled to take place at Dallas Raceway later this year will both be moved to Pine Valley Raceway on their originally scheduled dates. The Division 4 Summit Pro-Am Tour season opener, which is scheduled to take place March 14-16, and the Division 4 Summit Team Finals, set for September 25-28, will both take place at Pine Valley Raceway in Lufkin. For more information on the venue changes, visit www.ihra.com and visit the schedule pages for a complete list of rules and schedules.